Ultimate Chat with JSON events and easy tag/rank replacements. 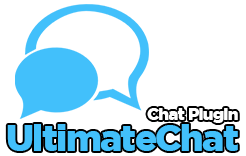 UltimateChat allow you (server owner) to show additional info on player names, chat tag, marry tags and in any tag you choose create, all using minecraft JSON. This info will be show when the player hover the mouse under player tag on chat. Click event are available too like click on player name and send teleport request, or click on Clan tag and see all clan player info. Uses Redis to send private messages, /ubroadcasts and channel message between any server in bukkit or Sponge conected on same Redis server.